The holiday season can be a stressful time for many of us as we try to plan social gatherings, rack up credit card debt, and have to see people we don’t necessarily get on with (or for some, not even having anyone to spend the holidays with). Just the thought of it can evoke dangerous levels of stress to our bodies. 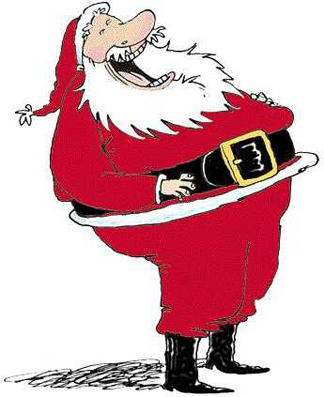 My advice for a happy holiday is to lighten the load by having yourself a good old laugh! It will benefit you emotionally, mentally and physically. One of my favorite moments in my Ayurvedic Medicine class was when our teacher hit the lights and started wailing out an enormous belly laugh causing the entire class to go into fits of laughter for a good 10 minutes. When she turned the lights back on, we all had tears of joy in our eyes and felt amazing. The energy levels in the class room were incredible! So when you’re feeling sad and stressed this holiday season try to think of things that make you laugh or at least put a smile on your face. Have a few funny memories on hand that can help you to feel better. If you can’t think of any funny memories, connect with your friends and family members that always have you in stitches and make you feel better. Take a time-out and put on your favorite feel-good holiday comedies (some of mine include Mr. Bean’s Christmas Special, Elf, and Planes, Trains and Automobiles). Check out your local comedy club or if you are too moody to leave your place then there are always online video clips of things that can make you laugh. Whatever you do be sure to spread some happiness and holiday cheer to those that need it most with a good HO HO HO, because when you laugh, the world laughs with you. I totally agree with what you had to say about our stress levels and how it connects to laughter and just surrounding yourself with that kind of joy really creates harmony! When I told Yvette my blog topic she reminded me how people say "I needed that" after they have a good laugh. I love how something so simple can be so effective.